According to the Alzheimer’s Association, every 65 seconds someone in the United States is diagnosed with Alzheimer’s disease. As of 2018, 5.7 million Americans are afflicted with Alzheimer’s or other forms of dementia, with numbers continually on the rise. 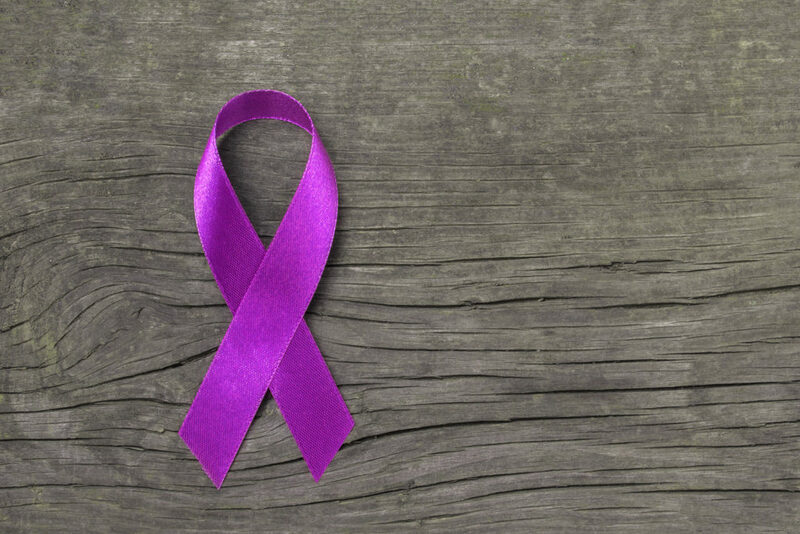 As there is currently no cure, it is incredibly important to spread awareness and increase the support base surrounding the fight against Alzheimer’s and dementia. This is why June has been designated Alzheimer’s and Brain Awareness Month. 90 percent of what has been discovered about Alzheimer’s disease has been learned over the last 20 years, and strong support can cause even greater action. It’s important to remember that lots of small actions taken by many people can lead towards finding a cure. Many times, Alzheimer’s symptoms can be simply mistaken for signs of aging. Although slight memory loss and misplacing items from time to time commonly occur in many older adults , it’s important to be able to recognize and understand the differences between Alzheimer’s and normal aging. Signs of Alzheimer’s disease or dementia includes disruptive memory loss and misplacing items. It becomes increasingly easy for those affected by the disease to start forgetting tasks, missing appointments, and having trouble re-tracing their steps. You may also want to watch out for changes in personality or behavior, unprovoked sudden changes in temper or suspicion around other people. People with Alzheimer’s at times can become panicked or scared for no reason, or star withdrawing from social activities. A reason for this is because of problems with speaking and writing. It may become increasingly hard for them to follow conservations or contribute complete thoughts to a conversation, leaving you both frustrated. Be Patient: There will be many changes that happen in regard to communication during the development of Alzheimer’s disease. Your family member might start using different words, be unable to think of what something is called, or even revert to a native language. It is your job to be patient with them, helpful, and never talk down to them. Take Time to Listen: They might struggle with finding the right words to say or communicate complete thoughts. It is important that you don’t rush them and allow them to try and communicate with you as best they can. Be Engaged and Supportive: It might be disheartening for you to have a conversation with a family member who is not able to communicate as well as they used to. It is important for you to stay engaged with them and support them even though it might be difficult. Showing lightheartedness and engagement through conversation can really amplify the experience for both of you and can even help reduce the negative effects the disease has on their communication. Purple is the official color for Alzheimer’s awareness, so sport the color and support the cause! Spread awareness around your community to inspire action that will lead to a possible end of this disease. Join the conversation, share your stories, celebrate those living with the disease and the amazing caregivers that offer help and relief to their family members. Additionally, plan to get involved in your area on The Longest Day. Celebrated across the country on the day in which we enjoy the most sunlight, June 21, individuals gather together in harmony to support, volunteer and donate towards finding a cure. To begin, you can select an activity that you would like to participate in and join a team. The Longest Day to learn more about this amazing day and how to get involved. Also visit the The Longest Day to learn about more opportunities closer to you. You can find a local resource for compassionate memory support in Immanuel Lutheran Communities. Located in beautiful Kalispell, Montana, individuals with Alzheimer’s disease and other forms of dementia enjoy amenities like a relaxing memory garden and experience stations that help ease some of the effects of the condition. Contact us to learn more and allow us to share our amazing community with you. You can also schedule a confidential consultation with our staff with any questions you might have about memory care.